CipherCloud for Dropbox is a cloud-based service that extends Dropbox secure file sharing with granular visibility, monitoring, and compliance controls enabling users to share sensitive and regulated business information to get their jobs done. CipherCloud for Dropbox offers a frictionless API integration with cloud applications, providing visibility and control without requiring an inline proxy or changes to end-user behavior. Policy-based encryption. Set granular policies to selectively encrypt sensitive files without interrupting the flow of important business. Note: Only authorized users can view encrypted files, and keys can be revoked if devices are lost. Any device, anywhere access. Encrypted files can be accessed remotely with an advanced mobile client that supports Mac OS, Windows, iOS and Android. Granular policy controls. 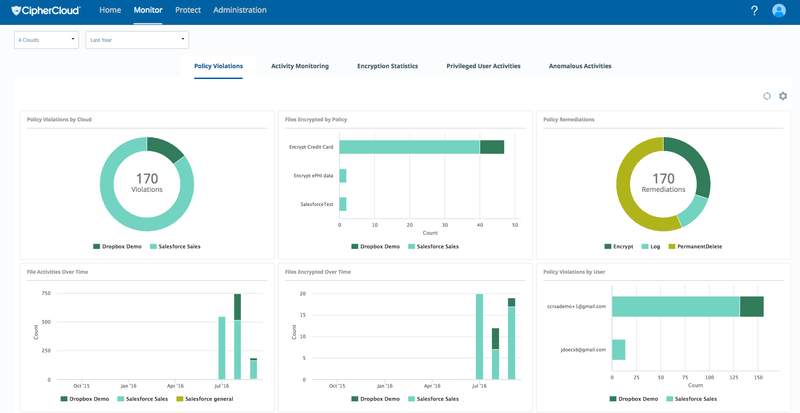 Create context-aware policies based on who, what, where, and why, and automatically take appropriate actions to prevent data loss. Compliance scanning. Discover and classify new and existing content. Out-of-the-box DLP policies include PCI, GDPR, GLBA, SOX, HIPAA, Social Security Numbers, ABA routing numbers, national drug codes (NDC), and more. Activity monitoring and anomaly detection. 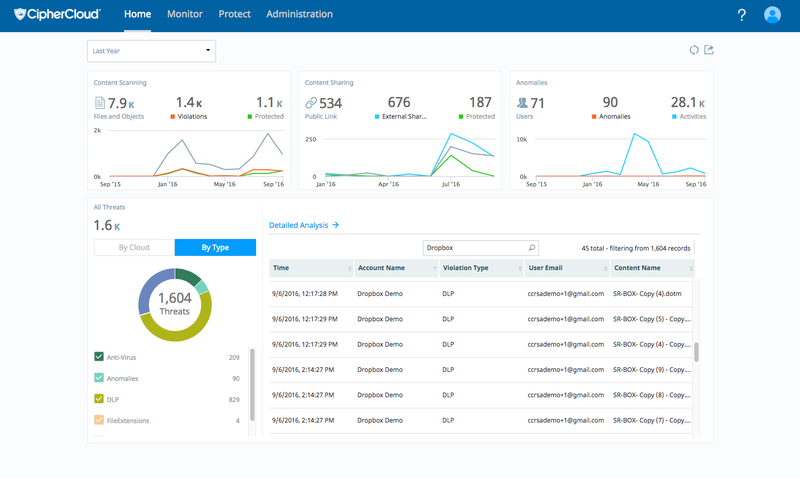 Monitor users, content, and devices for suspicious activity. 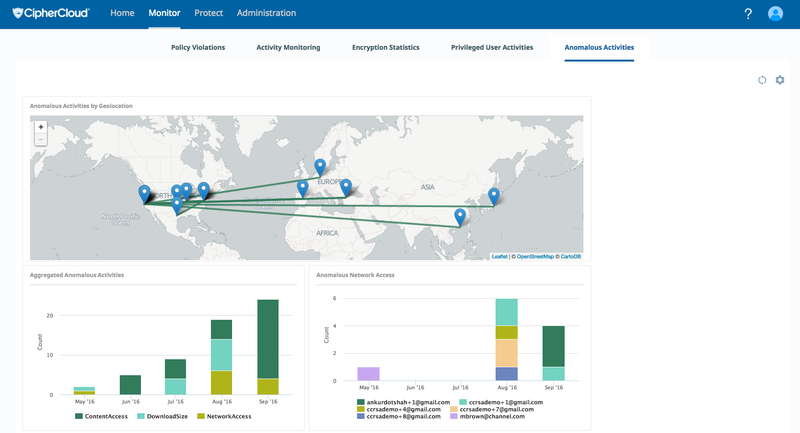 An intuitive drill-down dashboard helps you spot unusual activity including excessive downloads, content policy violations, or geographic anomalies.